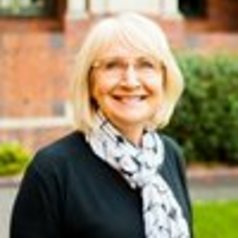 Professor Vicki Flenady is the Director of this Centre of Research Excellence in Stillbirth (Stillbirth CRE), based at Mater Research Institute, The University of Queensland. Vicki is the Convenor of the Perinatal Society of Australia and New Zealand's (PSANZ) Stillbirth and Neonatal Death Alliance and has lead the development of bi-national clinical guidelines on stillbirth and neonatal death management. Vicki is the Co-Chair of the Scientific Committee of the International Stillbirth Alliance. With a background in midwifery, clinical epidemiology and biostatistics, Vicki is involved in large-scale perinatal epidemiological studies on risk factors and data quality at a national and international level, with a focus on stillbirth prevention. Professor Flenady has over 150 publications (including more than 30 Cochrane systematic reviews) with more than 50 in the last five years. She has also authored four book chapters and numerous state-wide and hospital clinical outcome reports. She led two papers in The Lancet Stillbirths Series in 2011 (one an accompanying research paper) and co-authored all others as a member of the series steering committee overseeing the production and dissemination of the series of six papers, two supplemental papers, and five commentaries. She is a member of the Study Group for The Lancet’s 2016 Ending Preventable Stillbirths series, leading one paper and co-authoring all others (five in total). Other key research publications as lead/senior author include a suite of papers on the development of global indicators for maternity and newborn care and evaluation of classification systems for the development of a new WHO classification system for stillbirth and neonatal death. She has also authored or co-authored books and developed many national and state guidelines pertaining to stillbirth and neonatal death. In 2016, Professor Flenady led a successful bid to establish Australia's Stillbirth CRE, which is based on the priorities for addressing stillbirth outlined in the Lancet’s stillbirth series. She has built strong working relationships with various national and international stakeholders with the purpose of collaboratively improving clinical practice, research into stillbirth, and awareness about stillbirth among consumer groups. Professor Flenady has won a number of awards including: the 2008 National Institute of Clinical Studies evidence into practice award for implementing the Perinatal Society of Australia and New Zealand Perinatal Mortality Audit Guidelines; the 2011 Eileen Potter Award for Translating Research Into Practice; the 2016 Excellence in Research Award Mater Medical Research institute; the 2013 the Medal of Distinction Women’s Healthcare Australasia honouring her outstanding contribution at a national level to improving health of women through service provision, leadership and advocacy; and the 2018 Distinguished researcher award from the International Stillbirth Alliance.